The Word Collector by Peter J. Reynolds. Your students will love hearing how Jerome collects words–and how he decides to share them. Jabberwalking by Poet Laureate Juan Felipe Herrera. 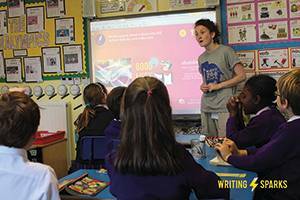 Fascinating, inventive language will grab students’ attention. Or as the author writes, “PLEASE don’t just sit there with a burrito in your ear.” Irresistible! 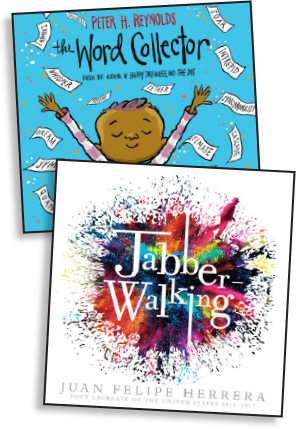 And in more good news, I have two sets of prizes to give away to two lucky teachers. For a chance to win our random drawing, submit a comment to our blog by Wednesday, April 18, to let us know one of your favorite words. Poetic thoughts are welcome but not required! The International Children’s Digital Library has stories in 59 languages. 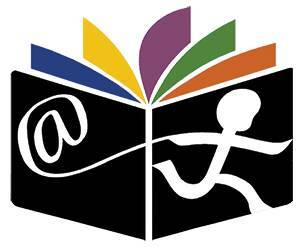 Find this free online library of more than 4,600 books at en.childrenslibrary.org. Light a fire under your writers with Writing Sparks. Find instant, inspirational writing challenges, all free. Check it out at writingsparks.com. Lakeshore has a new promo code that’ll save you lots! Get 20% off any single nonsale item in stores or online at LakeshoreLearning.com. Here’s the coupon code: 6800. These Write and Trace Story Stencils caught my eye—how cool! I think pristine has to be one of my favorite words, along with bliss, effervescent, and serendipity. How about you? PS: We just launched a new page on our site. Check out TheMailbox.com/BenandHolly for a magical collection of free activities featuring Ben & Holly’s Little Kingdom. Young elves and fairies will adore them! My favorite word is “appreciation”. Favorite words: Loving,Caring,Listening and Understanding. I love the word onomatopoeia but certainly can’t remember how to spell it! I love kind words and compliments! You can never have too many of either! 🙂 Thank you! My favorite word is sincere. I love the word “radiance”… I also love the words clarity, peace, and wholeness. My word is love, sent from above. It wraps around my heart, never to part. My favorite word is serendipity. There are so many fun words to say – onomatopoeia, hyperbole, personification, alliteration and more! Ponder – My students and I put our hands under our chins to ponder what a new word means, a math problem, oh just about anything that there is to think about in first grade! 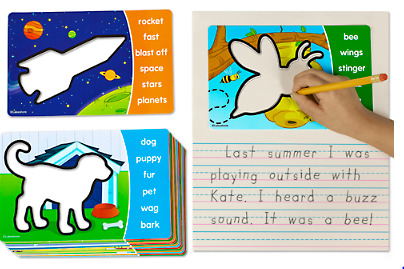 I teach Title One services and the students love to collect words, after reading Max’s Words. I read it kindergarten( skimmed) and read it to first to fifth grade, they all wanted to collect their own words- thankfully I provided them with a notebook to do just that and more. Canoodle: fun to say and more fun to experience! This word relates back to our ultimate comfy/cozy word: hygge and the pleasure we get from enjoying each other’s company. Picture a canoodle with a good friend: whispering, giggling, and sitting together. My favorite word is wonder. I wonder . . . Thank you, Alma, for introducing me to the work acrostic.